Wyndham Hotels was looking for a way to endorse their new Wyndham Rewards Program and increase enrollment among prospective customers. As an official sponsor of the New York Yankees, they took to the field to promote their new platform amongst the Yankees' most loyal fans as a game day giveaway. 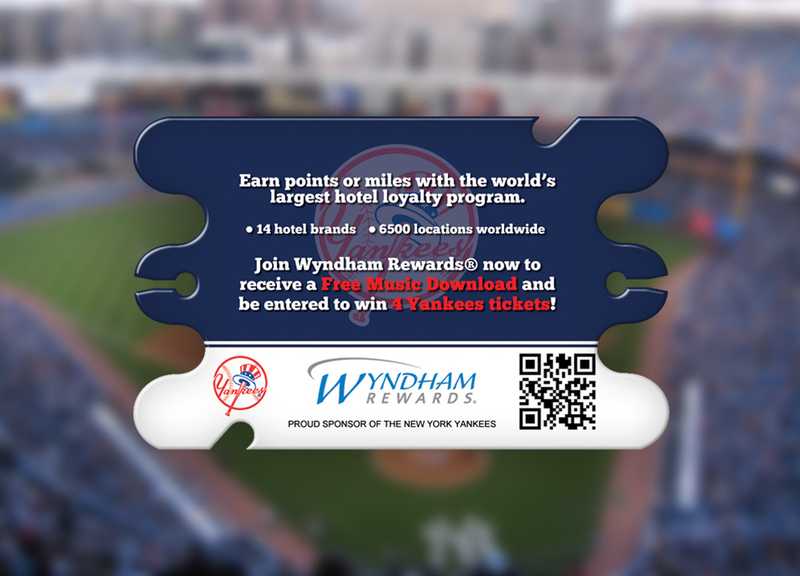 Wyndham rewarded each fan with one music download, along with a sweepstakes offer for four Yankees tickets. The music was delivered on a custom shape No-Tangle Card, wrapped with accompanying earbud headphones. Recipients of the giveaway were directed to the Wyndham Rewards enrollment form to redeem their gift. Upon completion of the survey, they were entered into the sweepstakes and rewarded their free music. 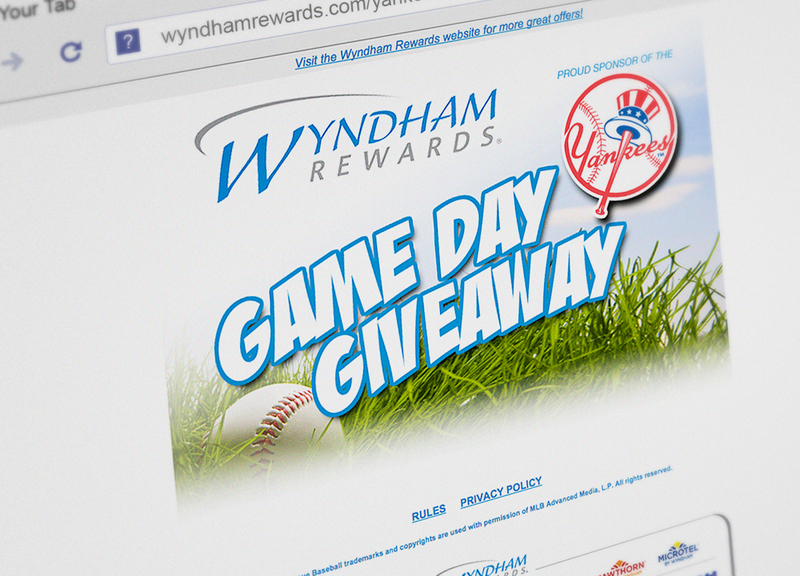 Wyndham Hotel benefited from music's universal appeal, helping them score big with this hit game day promotion.